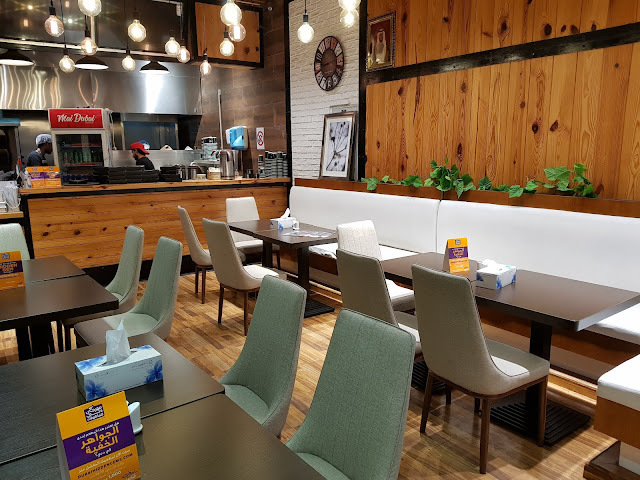 This is an Asian street-food concept that has recently started in Oud Metha. The good thing about it being a "street-food concept" is that the prices too are cheap. Also, they don't have "mains" as such, but items you'd find at street-side vendors that have a small portion size. I was invited here for a tasting, and all the items of the menu looked interesting, so the staff suggested us their best ones. We started with the Crunchy Asian Salad. It was simple and crunchy; by that I mean that not too many things were added in there, and there was no over-powering sauce. Really liked this one. When I first read the words "premium tea Cafe", I wondered to myself if this is just another expensive tea place or do they actually have a good tea. When I had my first sip of their karak Saffron tea, all my doubts vanished and I can say this was the best karak Saffron tea I've had in Dubai. And that's a very bold statement for someone who's a connoisseur of karak tea. I also asked their staff which tea do they use to make this one, and they said that it is a combination of a few. I also met their chef who explained me that their tea is directly sourced from the tea plantations in India and they use a blend of these to get this perfect flavour. They also use a combination of different kinds of milk and he told me that they have tried over 20 combinations of tea/milk/spices to get this flavour. The tea is served along with two small butter cookies which also are very good. I've had burgers at a lot of places and there's nothing all that different from one another but I found something a little different about this place. 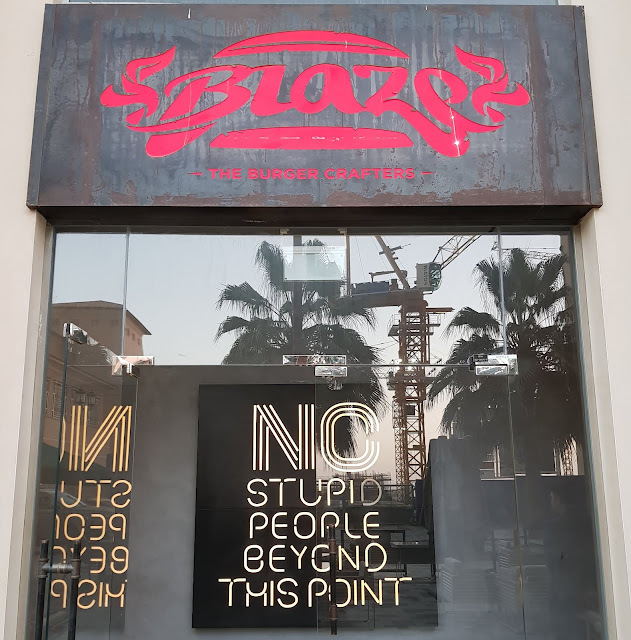 This place offers you customization but partially (not to the point you'll get too confused). Given the name, one might think that they mostly serve only karak tea, but they're definitely much more than that. 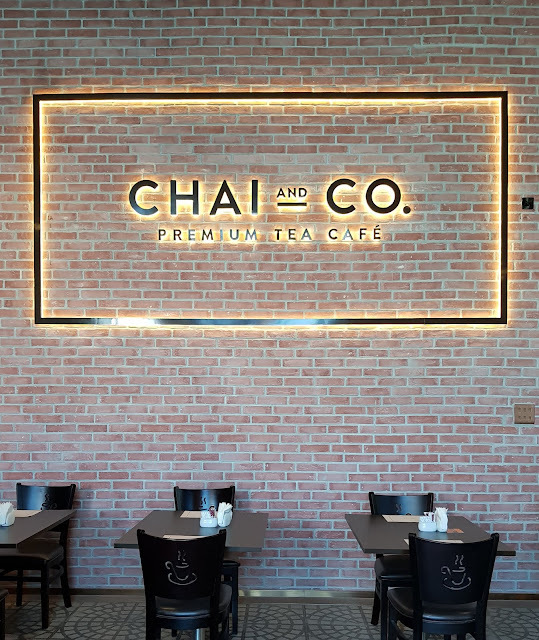 I had been here a few times before, but all I had was tea; this time though they invited me to try out a lot more items from their menu and I was pleasantly surprized when they turned out to be really yummy. We started with one of their mocktails (which have interesting names). It was the bubble gum mini cooper. From the name it might sound like a shake, but it isn't. This is an orange based drink which has a flavour of bubble gum; and was quite good. We moved on to the starters that they're famous for - no points for guessing - the rigag. I can loosely define rigag as an Arabic dish that is made from extremely thin filo dough, something like the Indian dosa. It can be had with different fillings - sweet as well as savoury. 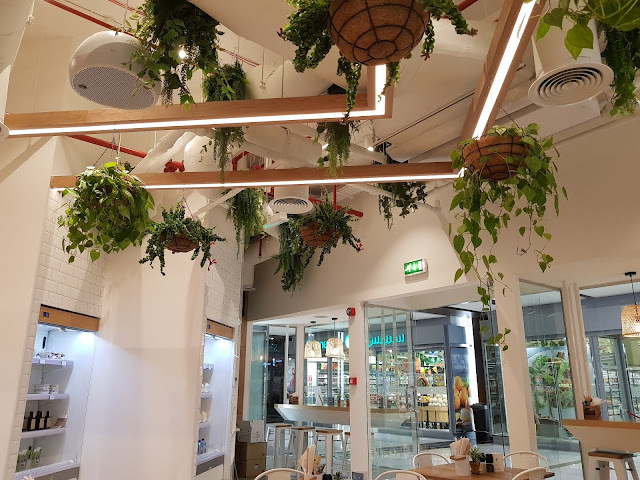 This is the newest healthy place in town that has started in DIFC just a couple of months ago in November 2017. I was invited here, and the moment you step in you notice the vibe that this place has to it. 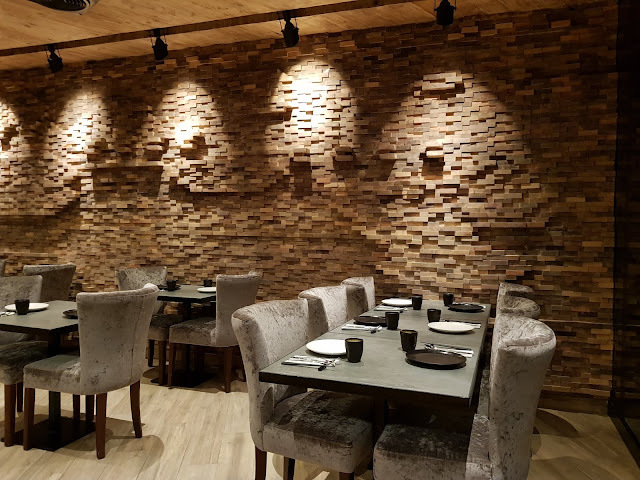 It gives a "healthy" feel to it; don't ask me how exactly, but as you can see from the picture below, the ambiance is different than most places. Apart from their signature Poke bowls, they also have salads, breakfast bowls, smoothie bowls and more, and we wanted to have all of it. We started with an Asian Noodle Salad. This is made from Rice Noodles and contains portobello mushroom, spring onions, carrots, sprouts and more. You can choose the sauce you want with it; since they recommended the Sweet Chili, that's what we took. At first I found the salad a little bland, but after adding the sauce, I totally loved it; it tasted really fresh.